Your kidneys are two organs that are kind of in the shape of beans. They are responsible for the extraction of waste products from your blood, they balance out your body fluids, form urine and help with other functions in your body. They are located next to the muscles in your back of the upper abdominal cavity. They sit on either side of your spine. You don’t want kidney disease with diabetes or without. I’d like to cover as much as possible so that you know what to do to avoid kidney disease and diabetes. People most likely to develop kidney disease are ones who consume too much fast food, too many soft drinks, eating red meat, being a diabetic, having high blood pressure or being African American. If you have a family history of kidney disease, then there isn’t much you can do about it. But your lifestyle role can be changed to avoid kidney disease. Factors such as smoking, poor diet, and obesity are things that can be modified. Diabetes is going like wild fire in this country. It’s common sense to cut out the sugars to lower your blood glucose levels. If not, your kidneys won’t be the only organs that suffer. You have to make changes and eat healthy carbs and protein. Read the labels on foods. Do not read the sugar ingredient. It’s the CARBOHYDRATES that matter because carbs TURN to sugar. Save your kidneys. Cut out the sugar! Red meat. Watch the red meat. If you’re on a high protein diet or you’re eating a lot of red meat, then you should cut way back. 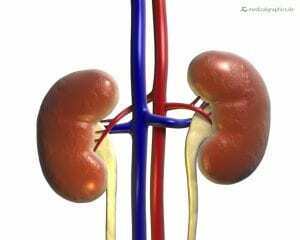 The large amounts of animal protein can possibly harm your kidneys. It also contains too much saturated fat. This is a danger zone. Stay away. Sodas. These sodas are loaded with sugar and calories and have zero nutritional value for you. The cola sodas not only have too much sugar they are phosphorus additives and they can do harm to your kidneys.Eliminate them immediately. Sodium. There is just too much sodium in foods today and that not only causes high blood pressure, it affects your kidneys too. Cut back. Sugar. This is the number one culprit with diabetes. Excess sugar content leads to obesity and diabetes and these are linked to kidney disease. Processed foods. Processed foods such as deli meats, crackers, cheese spreads, and potato chips are all high in sodium and additives and these all are no good for diabetes and your kidneys. If you’re having issues with trying to think with a clear head, it could indicate that your brain is oxygen deprived. This may lead to other problems including concentration, becoming dizzy, and experiencing problems with your memory. You can get excess fluid in your feet, legs, hands, face, or ankles because your kidneys could be failing. Your urine can be bubbly, foamy, dark, cloudy or pale, red, brown, purple, dark, or contain blood. You may have pressure when urinating, or it won’t come out or flow properly or urinate too much during the night or not at all. If your kidneys aren’t working properly extra fluid builds up and swelling in in your hands, feet, ankles, legs, and this can also result in a puffy face as well. If you experience a shortness of breath with little to no effort it could be because either excess fluids have built up in your lungs or the possibility of anemia can cut off your supply of oxygen and result in a shortness of breath. Anemia is a shortage of red blood cells that carry oxygen. If you’re always feeling cold even when everyone else is warm or a room is warm, this can be an indication of kidney problems. When you’re eating and the food tastes like metal, this could be from an excess buildup of wastes in your bloodstream (uremia). It can cause bad breath or loss of appetite. Do you constantly feel tired? This could come from anemia and is treatable. If your kidneys are not producing ample amounts of a hormone called EPO which signals your body to produce red blood cells which carry the oxygen. Your brain and your muscles can get fatigued quickly. Itching can occur when the kidneys fail to remove the wastes from your bloodstream. It’s important to eat the right foods to benefit your kidneys and not have them get worse if you have kidney disease. It’s always important to eat a healthy diet and drink enough water to stay healthy but even more so with kidney disease. Diabetes causes kidney disease and you don’t want that! I want to talk about what to eat and what to do if you have kidney disease and not on dialysis. This is all basic information and you may want to talk to someone who is an expert in nutrition and diet for folks with kidney disease. It’s important to find a specific meal plan and diet that works just for you. Find a dietitian who can discuss your options and meal plans. Most insurances will most likely cover the cost. The things that you drink and eat obviously affect your health. You need to control your blood sugar and your blood pressure because they can worsen your condition or chances of developing kidney disease. Your kidneys are very important because they remove waste and fluid form your body and if they cannot do this constantly then the excess fluids and waste are allowed to build up and can cause bone disease, heart disease, and a multiple of other health issues. Eating a diet that is beneficial for your kidneys can assist in keeping the fluids and wastes from building up and causing problems. Water is essential to surviving and how many times have you heard about drinking plenty of water? Well, if you have kidney disease, this may not be the case. The reason for this is that kidneys that have been damaged cannot rid the body of excess fluid the way they normally would. This is not a good situation because a buildup of excess fluid can cause swelling, heart failure, and high blood pressure. Too much fluid can also build up around your lungs, making it more difficult to breathe. Your doctor may have to limit your fluid intake and cut back on foods that contain too much water. Your bones are kept healthy by vitamin D and calcium. When your kidneys are in a healthy stage, they regulate the amount of phosphorous in your body. But phosphorous can build up in your blood when your kidneys aren’t functioning properly. A buildup of excess phosphorous in your blood leads to the possibility of your bones breaking more easily. You don’t want that at all. If you do have kidney disease, you will have to definitely limit your intake of phosphorous for sure. Again, your physician or dietitian will make the call on this. You’ll want to have foods lower in phosphorous such as: French bread or Italian bread, cream of wheat, rice cereal, popcorn with no salt, or soda that is not cola, but I prefer water. So you should avoid foods higher in phosphorous such as: sunflower seeds, nuts, oatmeal, bran cereals, sodas such as colas, and whole wheat bread. Potassium is a mineral that your body requires and needs and is found in many foods. Why is potassium important? Because it is responsible for the functioning of your muscles. But excess potassium is not good for you. Levels that are too high or too low can cause problems with heart beats, cramping of your muscles, and weakness of your muscles as well. Your doctor will know what your potassium levels are through your labs. With kidney disease, you’ll have to limit your intake of potassium. Your dietitian or physician should make the decision on this. Here are a few of the foods that you can have with lesser potassium content: Peppers, squash, cauliflower, radishes, onions, chicken, beef, grapes (my favorite), apples, strawberries, and cranberries are just a few of the foods that are healthy and don’t contain large amounts of potassium in them. These are foods that are higher in potassium and should be limited: oranges, raisins, bananas, avocados, spinach, tomatoes, artichokes, potatoes, granola, beans, and brown rice. You should be careful with these if you do choose to have them because they contain more potassium than the previous ones listed. Why watermelon? Because watermelon is low in potassium and phosphorous. It also is mostly made up of alkaline water and this aids in excreting your system of waste and toxic products that build up inside of your body. And here’s something good to know: kidney stones can actually be dissolved by having watermelon on a regular basis. But be careful. I always mention this about fruit. 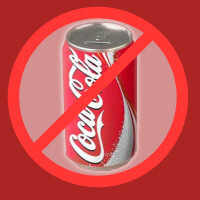 Although it contains natural sugar, if you’re a diabetic you want to limit your intake of sugar so don’t overdo it. Cherries are an excellent choice to help the functioning of your kidneys. Cherries contain many beneficial nutrients such as: folate, vitamin K, vitamin C, magnesium, and citrate. You can decrease your risk of gout and arthritis by the citrate content in cherries that decreases the uric acid in your bloodstream. Cherries are also responsible for boosting your immune system and helping in speeding up the healing process. If you’re having problems with failing kidneys and are experiencing nausea, drowsiness, pain, and fatigue you may want to turn to lemon juice for comfort. Lemon juice can help remove wastes and toxins and help deal with pain. Because willow bark contains anti-inflammatory and anti-oxidant properties, it can aid in kidney failure. It boosts your immune system and helps your kidneys work better. Dandelion root is not only beneficial for many ailments and diseases such as cancer, it is considered one of the best home remedies for kidney failure. Because of its mineral content of iron and zinc and its roots can treat kidney failure naturally and effectively. One of my favorite drinks is green tea. It’s more beneficial to use fresh green leaves because of the content of plant oxidants. Two or three cups of green tea a day is recommended for poor kidney function or kidneys failing. It also helps prevent kidney stones. Green tea has many health benefits too because of its anti-inflammatory properties. This food is a powerhouse when it comes to health benefits because of its antibacterial properties. Apple cider vinegar has many nutrients. It helps in protecting them from damages and infections and helping to keep your kidneys healthy. It aids with bladder infections and is responsible for fast recovery times. An Indian spice that treats many different ailments and is extremely beneficial for kidney failure. Because of its content of curcumin, turmeric is able to treat kidney infections and speed up your recovery process. It seems that exercise is all you ever hear about and with good reason. Your body needs to move to stay healthy. You have much less of a chance of ill health if you exercise at least somewhat. Even thirty minutes a day is better than zilch, wouldn’t you agree? Exercise helps get rid of waste and toxic products and improves your metabolism and aids in kidney stones, kidney disease, and kidney failure. Your kidneys are important. It goes without saying that your kidneys are crucial to your survival. It pays to take care of not only your kidneys but your entire body because your body will take care of you in return. I’d like you to consider what I’ve said here but I cannot stress enough that you need to discuss everything with your doctor or health practitioner because they are the professionals. These are my opinions and are not offered as medical advice. With that said, if you would like to lower your blood sugar to protect your kidneys and kidney disease from diabetes I highly suggest trying this! I would, however like you to leave any questions or comments that you have below. I would appreciate it. Thank you and please be healthy and take care! This is a great post and I hope it reaches a lot of people. A healthy lifestyle and diet is important and prevents a lot of the diseases that people suffer from today. I was surprised that Tumeric was good for kidney. I know is is good for pain and have used it on occasions. What is the best way to consume Tumeric? I made a drink with turmeric in it and sometimes I use it in my cooking. Is there any other way to use it that would help keep my kidneys in good working order? Yes turmeric is good for your kidneys and many other ailments. A healthy lifestyle such as eating right and exercising is always the best way to go. You can consume turmeric by adding it to your food or by taking supplements. It’s always better to consume it in the foods you eat. But I take the supplements and I take 500 mg of turmeric everyday. So that’s what I would take to help your kidneys. Thanks Margaret! Thanks for a great article on kidney disease. Diabetes is an epidemic in our country and as a health care professional I have assisted in both kidney tests for output, and also Diabetics. Its not a joke when those organs break down and causes so many other health issues from weight gain, to heart problems and in the case of diabetics advanced problems can lead to limb amputations. I love the list of good foods to promote good kidney health. Keep up the great posts. Diabetes is so widespread today. It’s something we all need to control. All of our organs are important and the kidneys especially. Most of the time it will come down to diet and exercise. The more we know the better off we are and how we can treat it. Let’s all promote good kidney health and take the right steps to do so. Thanks Rich for your comments! What a great article! It’s funny but we all seem to be obsessed with heart disease and cancer, but as you pointed out in your article, if your kidneys don’t work properly, then a build up of toxins will eventually lead to one, both and other life threatening diseases. 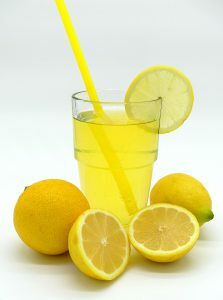 I’m on the lemon juice from now on, thanks to your article! Thanks for the heads up! 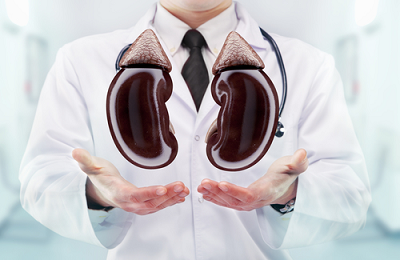 We should all be aware of our kidneys because they are so crucial to our survival. Anything that we can do that is natural to help our kidneys should be done. We shouldn’t take our health for granted. I love lemon juice and it’s so healthy for you! Time for one right now! Thanks Alison! This is such a great post on this very important topic. My Dad is dealing with some of these very issues currently and I was very intrigued with your “Home Solutions” section. I will be passing these ideas along to him. I never knew that watermelon can actually help dissolve kidney stones! I hope that your dad is doing good. Your kidneys are so important and the last thing that you want is issues with your kidneys and you certainly do not want kidney stones. There are many natural ways to help your kidneys and we should all take advantage of them. And yes watermelon can help flush your kidneys and help dissolve kidney stones. Watermelon is 92% water and that’s a reason why it helps. Well, personally I would say to avoid ANY kind of meat. No matter if it’s poultry, meat has a lot of saturated fat that covers cells membranes, and blocks glucose (sugar) usage for energy. But everything you said about kidney disease is true, in a easier way of an explanation. Hey Jaime, avoiding meat is a matter of choice. It IS better to have fruits and vegetables. Some people will avoid meat altogether and some never will. But diabetes and kidney disease are obviously nothing to fool around about. So either way, it pays to be healthy and pay whatever price to get there.